Computer passwords are like locks on doors – they keep honest people honest. If someone wishes to gain access to your laptop or computer, a simple login password will not stop them. 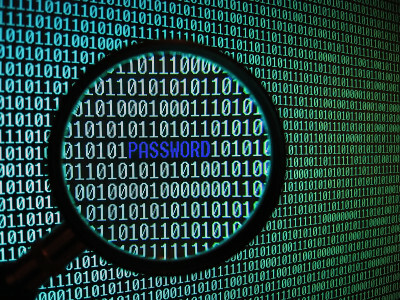 Most computer users do not realize how simple it is to access the login password for a computer, and end up leaving vulnerable data on their computer, unencrypted and easy to access. Are you curious how easy it is for someone to gain access to your computer? If so, read on to see the technique one might use to figure out your computer password. the easiest. The program used is called Ophcrack, and it is free. Ophcrack is based on Slackware, and uses rainbow tables to solve passwords up to 14 characters in length. The time required to solve a password? Generally 10 seconds. The expertise needed? None. The computer will restart and Ophcrack will be loaded. Sit back and watch as it does all the work for your. Write down the password it gives you, remove the disc, restart the computer, and log in as if it were you own machine. The second most popular operating system, OS X is no safer when it comes to password cracking then Windows. The easiest method would be to use Ophcrack on this, also, as it works with Mac and Linux in addition to Windows. However, there are other methods that can be used, as demonstrated below. If the Mac runs OS X 10.4, then you only need the installation CD. Insert it into the computer, reboot. When it starts up, select UTILITIES > RESET PASSWORD. Choose a new password and then use that to log in. That’s it. Now that the password is reset, you can login. Finally, there is Linux, an operating system quickly gaining popularity in mainstream, but not so common you’re likely to come across it. Though Mac and Linux are both based on Unix, it is easier to change the password in Linux than it is OS X. To change the password, turn on the computer and press the ESC key when GRUB appears. Scroll down and highlight ‘Recovery Mode’ and press the ‘B’ key; this will cause you to enter ‘Single User Mode’. There you have it – that is how simple it is for someone to hack your password. It requires no technical skills, no laborious tasks, only simple words or programs. The moral of the story? Encrypt your data to keep it safe. Don’t use only a password, but actually encryption, such as Blowfish or AES-128. There are a number of programs that can do this – TrueCrypt for Windows, or the native encryption found on Ubuntu, creating a disk image in Mac, etc.